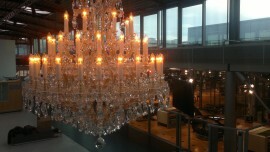 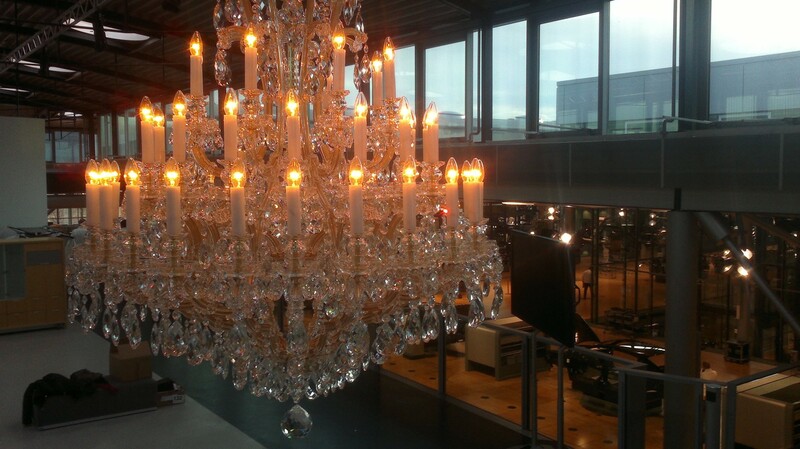 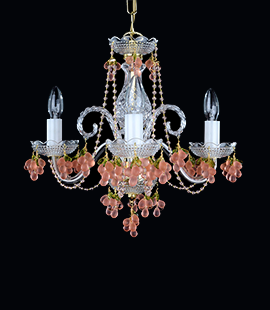 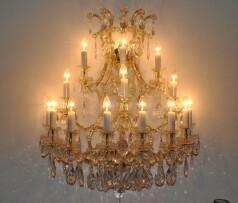 Maria Theresa chandelier made of glossy Nickel plated brass. 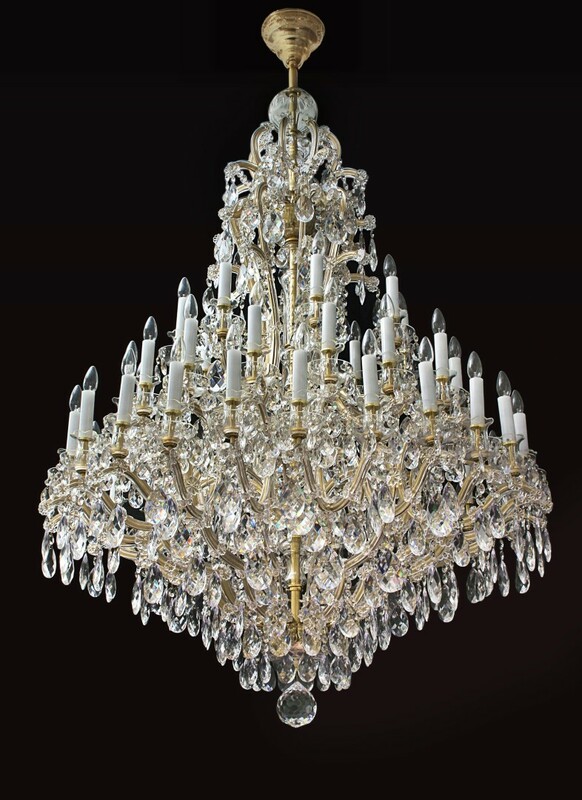 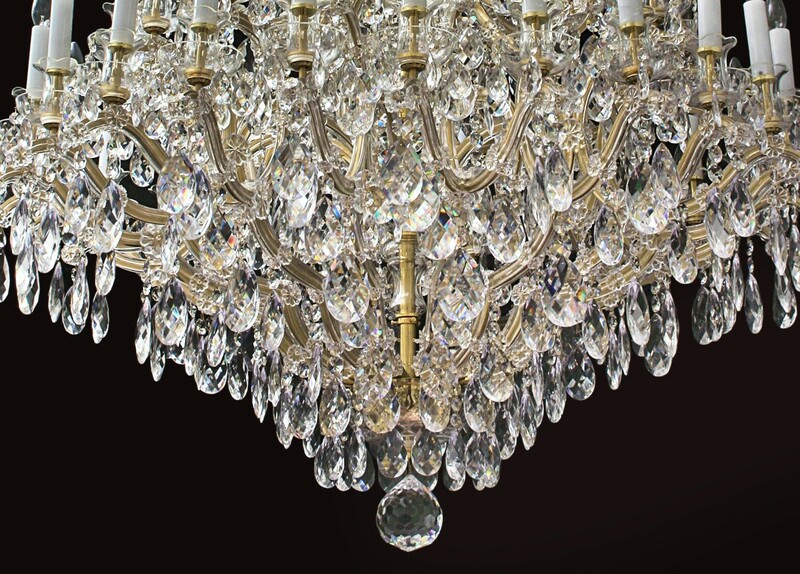 The 48 flames Maria Theresa chandelier - polished nickel plated brass. Trimmings: Crystal cut polished almonds. Completely hand-cut leaded crystal glass. 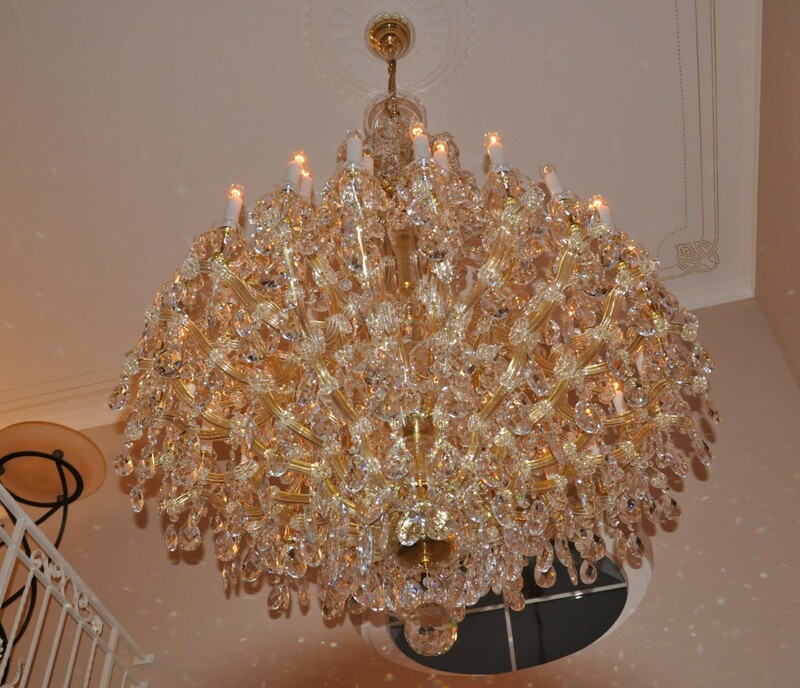 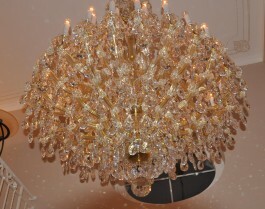 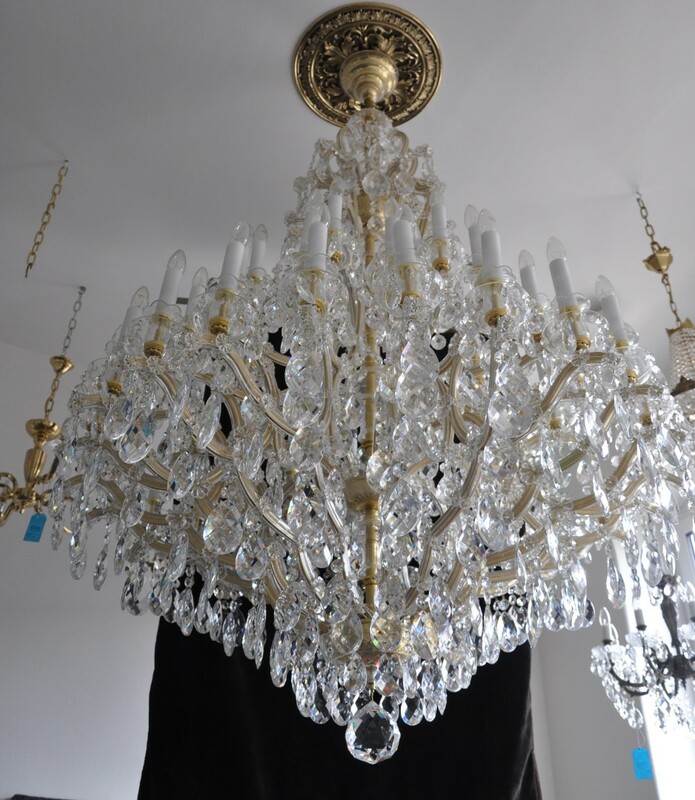 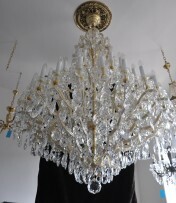 The chandelier comes with a cut glass cover of the ceiling rose. 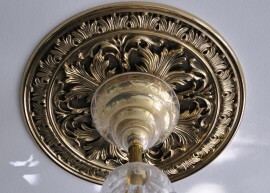 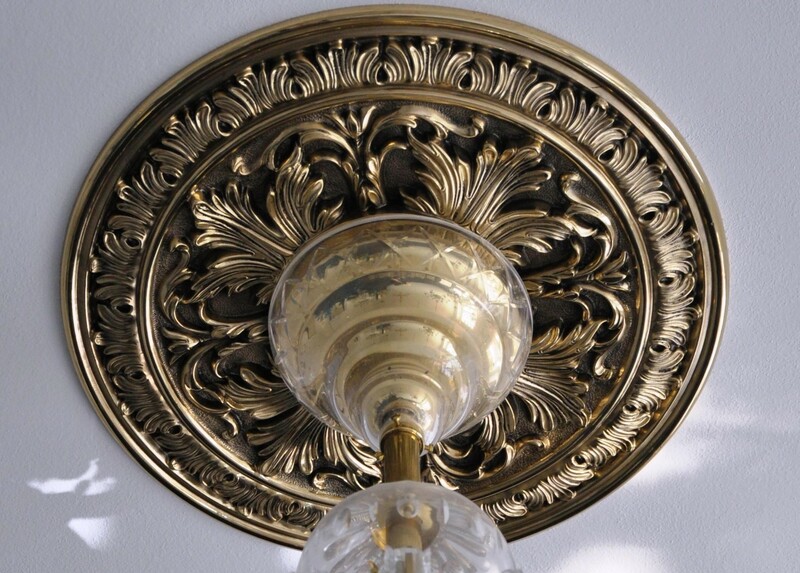 Optional: The large cast brass ceiling rosette.